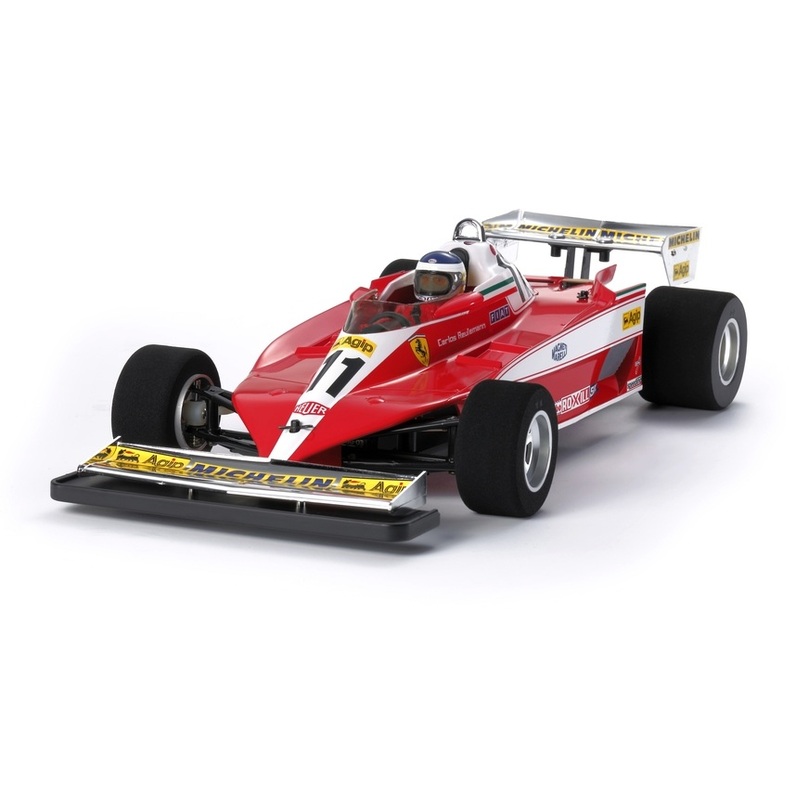 The 312T3 made its debut in the 1978 South African Grand Prix. Underneath its aerodynamically polished body with a 3-liter 12-cylinder 510hp engine. Drivers C. Reutemann and G. Villeneuve took the 312T3 to 4 victories for the season and the runner-up spot in the 1978 Constructors’ Championship. • 1/10 scale R/C model assembly kit. Length: 447mm, width: 201mm. • Polycarbonate & ABS body parts. It features a bumper to go under the front wing, and a helmeted driver figure. • Wings and wheels are metal plated. • Bonus body! A separate standard polycarbonate body is also included in the kit. 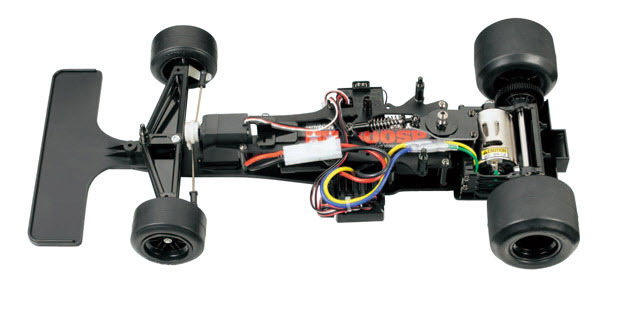 • The F104W chassis has F103 front suspension arms to replicate the wide form of the 312T3. It utilizes an FRP semi-double deck (upper: 2mm, lower: 3.2mm) and longitudinal battery position. • Highly efficient direct drive 2WD features the motor pinion directly connected to the spur gear which has a built-in ball differential. • Gear case allows 5 different ground clearances. • Kingpin coil spring front and T-bar rear suspension setups provide smooth and precise driving characteristics. • 2 car markings: (Nos.11 and 12 included). • Requires: R/C equipment (transmitter, servo, ESC), battery pack with charger and Tamiya PS spray paint to complete.